This tutorial is all about the Lining! 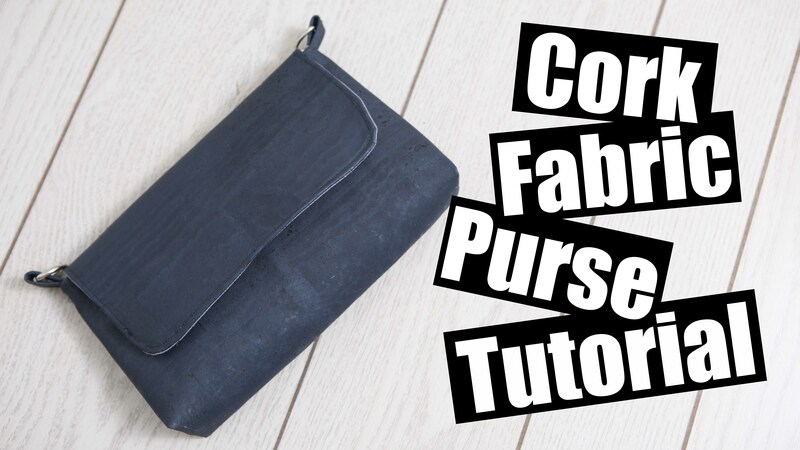 to learn how to make the entire bag please refer to the First video! This bag is made out of a Cork Fabric! Outer fabric – Recommendations – Cotton, Canvas, Leather, Faux Leather, Cork Fabric. Measurements for the Hidden pocket lining. Draw a box on the back of your lining that is 1/2″ x 7″ make sure its centred and doesnt impeed in the top of the bag or the sides. Watch the tutorial for correct placement measurements! Sew the perimetre of the rectangle, Cut with scissors down the centre and towards the corners. push the lining through that cut hole. Place the zipper behind it, use double zided tape or a glue stick to place your zipper centred in the rectangle, top stitch around the rectangle to secure the zipper. place the second piece on the back and sew around the edges, tuck the bag lining out of the way to sew around the rectangle (do not sew this lining on to the purse lining.